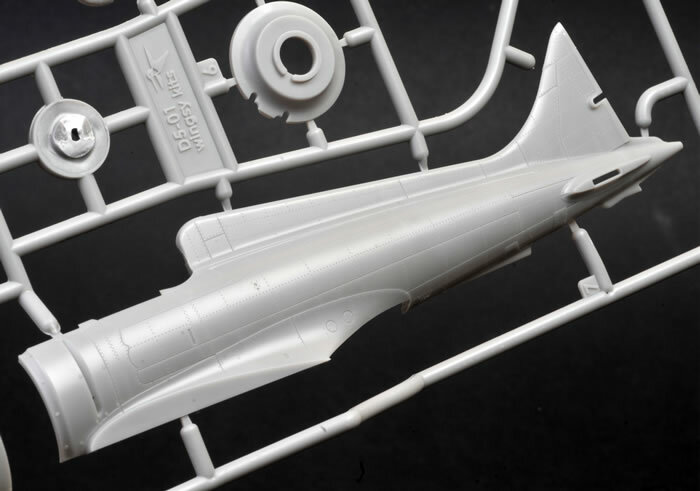 Contents and Media: 74 parts in grey injection moulded plastic; five clear parts; 48 photo-etched metal parts; one printed clear acetate film; markings for four aircraft. Advantages: Gorgeous surface textures; high level of detail; excellent moulding quality. Disadvantages: Sink marks in navigation lights and floor window. This is a real surprise package out of the blue. Wingsy's 1/48 scale A5M4 Claude is a quality kit with gorgeous surface textures, a high level of detail and useful options. Even if you are not a fan of early-war IJN fighters, this is definitely worth a look. It might just turn your head!. The Mitsubishi A5M, formal Japanese Navy designation Mitsubishi Navy Type 96, was a Japanese carrier-based fighter aircraft. It was the world's first monoplane shipboard fighter to enter service and the direct predecessor of the famous Mitsubishi A6M "Zero". The Allied reporting name was Claude. The aircraft entered service in early 1937, and soon saw action in aerial battles at the start of the Second Sino-Japanese War, including air-to-air battles with the Republic of China Air Force's Boeing P-26C Model 281 "Peashooters" in the world's first aerial dogfighting and kills between monoplane fighters built of mostly metal. An A5M from the aircraft carrier Akagi in flight with an external fuel tank (1938 or 1939) Chinese Nationalist pilots, primarily flying the Curtiss Hawk III, fought against the Japanese, but the A5M was the better of almost every fighter aircraft it encountered. Though armed with only a pair of 7.7 mm machine-guns, the new fighter proved effective and damage-tolerant, with excellent manoeuvrability and robust construction. Later on A5Ms also provided much-needed escorts for the then-modern but vulnerable Mitsubishi G3M bombers. The Mitsubishi team continued to improve the A5M, working through versions until the final A5M4, which carried an external underside drop tank to provide fuel for extended range. The A5M's most competitive adversary in the air was the Polikarpov I-16, a fast and heavily armed fighter flown by both Chinese Air Force regulars and Soviet volunteers. Air battles in 1938, especially on 18 February and 29 April, ranked among the largest air battles ever fought at the time. The battle of 29 April saw 67 Polikarpov fighters (31 I-16s and 36 I-15 bis) against 18 G3Ms escorted by 27 A5Ms. Each side claimed victory: the Chinese/Soviet side claimed 21 Japanese aircraft (11 fighters and 10 bombers) shot down with 50 Japanese airmen killed and two captured having bailed out while losing 12 aircraft and 5 pilots killed; the Japanese claimed they lost only two G3Ms and two A5Ms shot down with over 40 Chinese aircraft shot down. 104 A5M aircraft were modified to accommodate a two-seater cockpit. This version, used for pilot training, was dubbed the A5M4-K. K version aircraft continued to be used for pilot training long after standard A5Ms left front-line service. 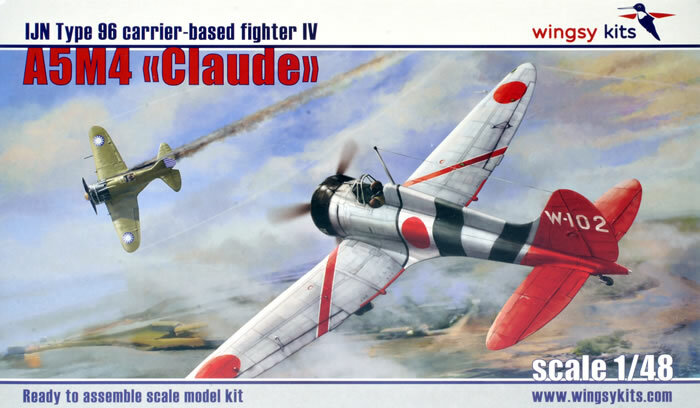 I reviewed LifeLike Decals' three new A5M Claude decal releases a few weeks ago. 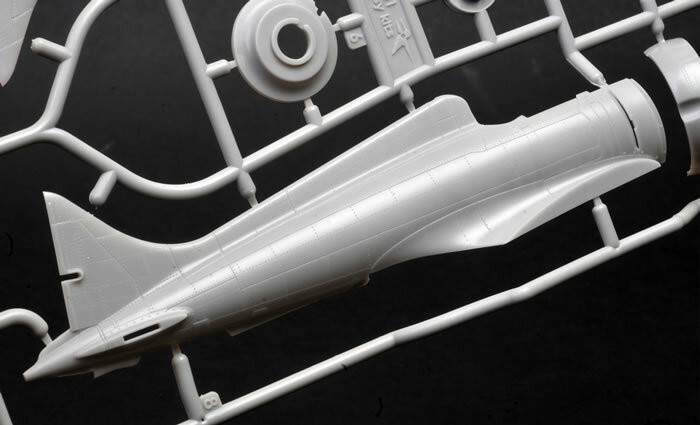 Although I had no previous interest in this aircraft, the colourful markings and graceful lines of the airframe motiviated me to find a 1/48 scale kit on which I could test these out. Fate must have been listening however, as before I had a chance to buy a model, Wingsy Kits contacted me to offer samples of their latest kits. 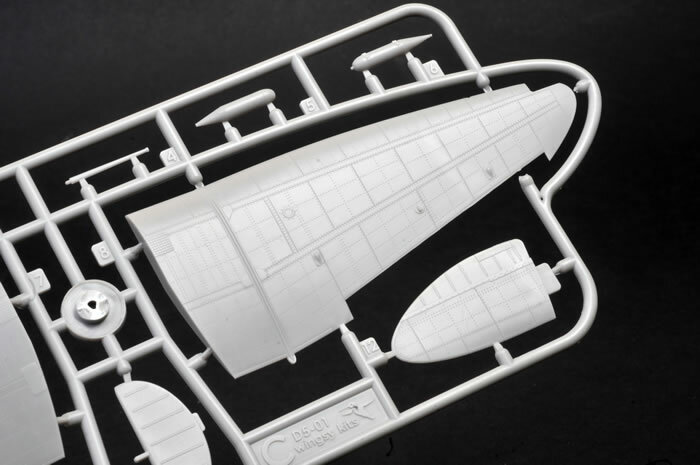 Wingsy Kits is a Ukranian model company and a relative newcomer to the market, with their first releases being the 1/48 scale A5M Claude family. 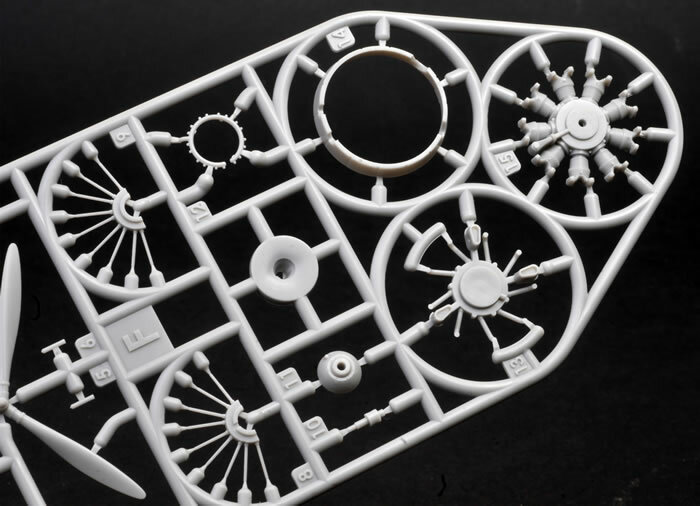 Today I am examining Wingsy Kits' 1/48 scale kit no. D5-02, their A5M4 Claude. This was a mainstream production variant with an open cockpit and fixed spatted undercarriage. 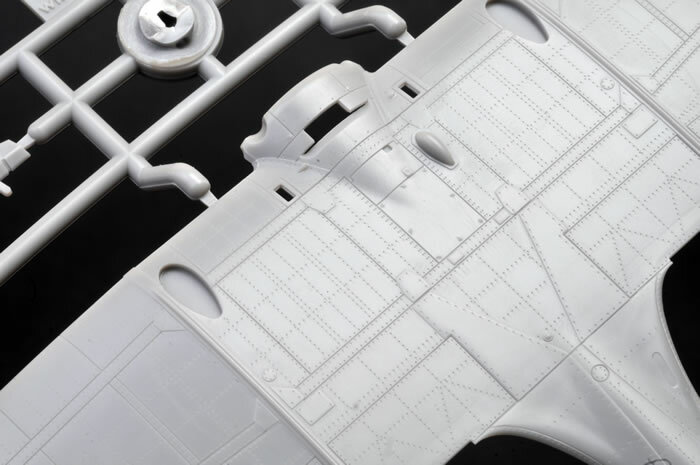 Wingsy's 1/48 scale A5M4 Claude comprises 74 parts in grey injection moulded plastic, five clear parts, 48 photo-etched metal parts, one printed clear acetate film and markings for four aircraft. The first thing you'll notice when you examine the contents of the stout cardboard box is the beautifully restrained surface textures. 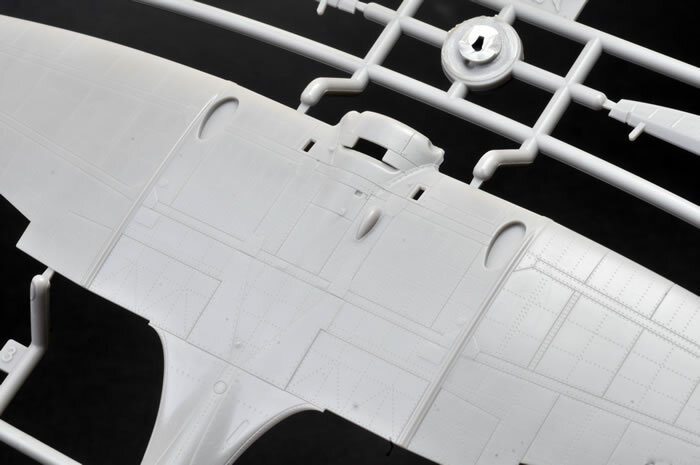 Panel lines are finely recessed, and complimentary rows and columns of rivets are incredibly subtle - some of the best that I have seen. Think Eduard quality. I cannot find any sink marks or ejector pin circles on any visible surfaces. 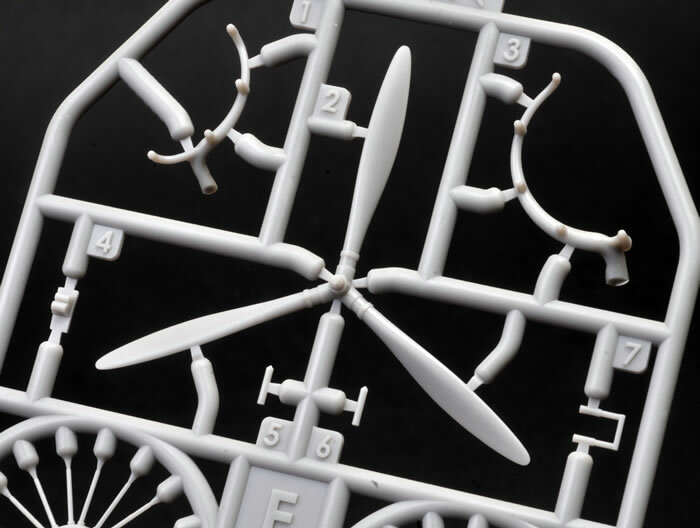 The parts are attached to the sprues with reasonably fine attachment points, but the attachments for the fuselage parts and the wings' leading edges do extend to the mating surfaces. 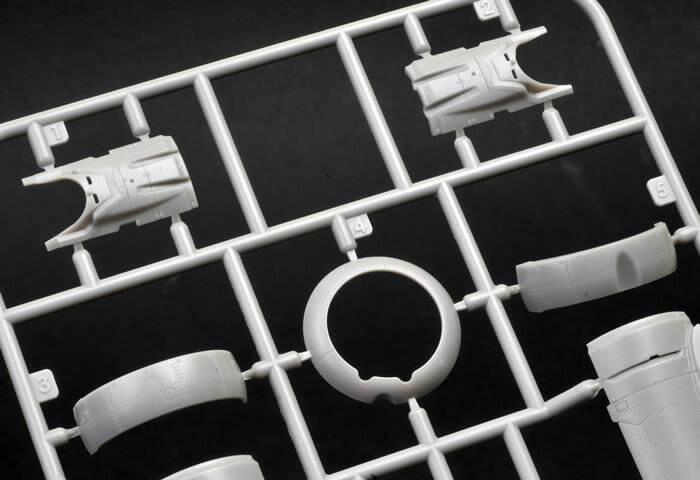 Make sure you carefully and thoroughly clean these up before assembly. Detail parts are equally impressive, with a complete cockpit supplemented with photo-etched harness straps, instrument panel and more. 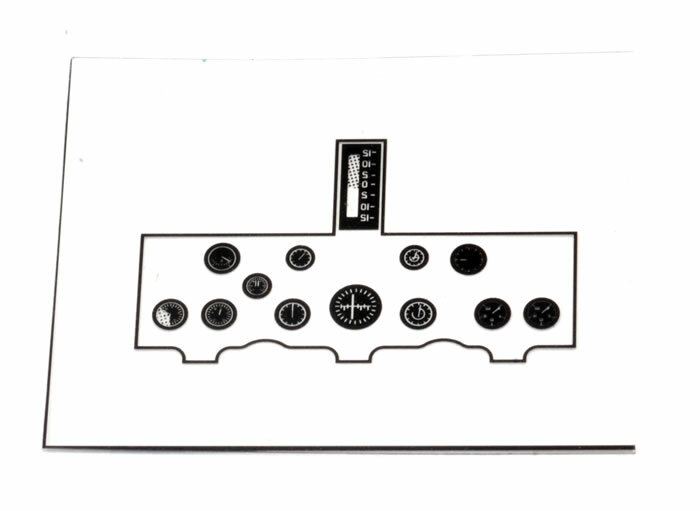 A printed acetate film is also included for the instrument dials. If you are not a fan of photo-etch, a nicely detailed plastic instrument panel is also offered. Machine gun and the ammo container are also quite prominent in the cockpit. The engine is also highly detailed, with push rods on two hemispherical parts, exhaust and manifolds on a third part and a single part for the nine cylinders. 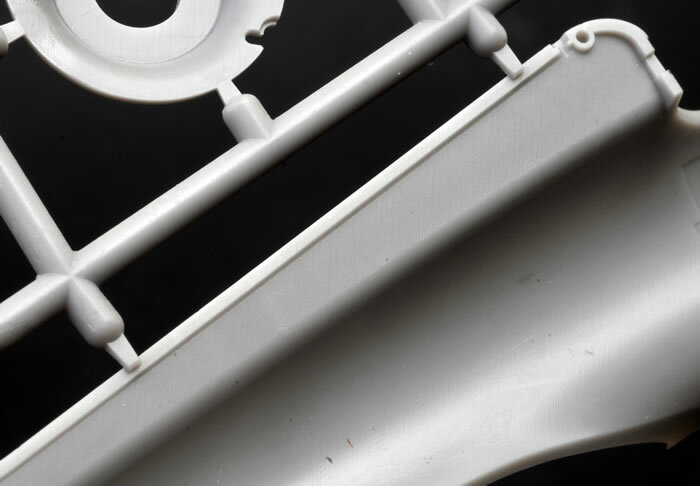 A photo-etched cowling brace is provided too. 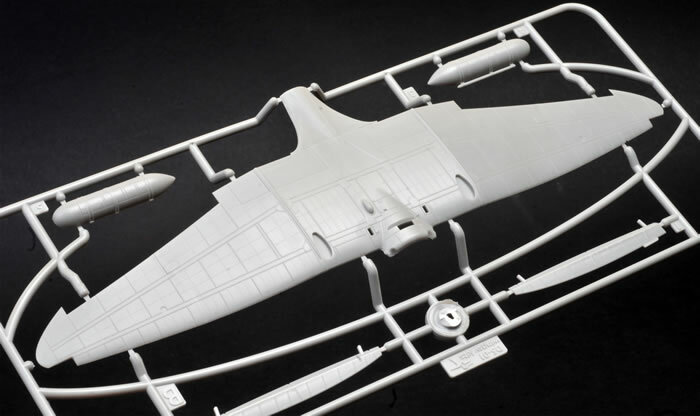 Wingsy offers alternative parts for fully spatted wheels and undercarriage legs, or spatted legs with the wheels exposed. Other options include wing mounted bombs and a centre mounted external fuel tank. 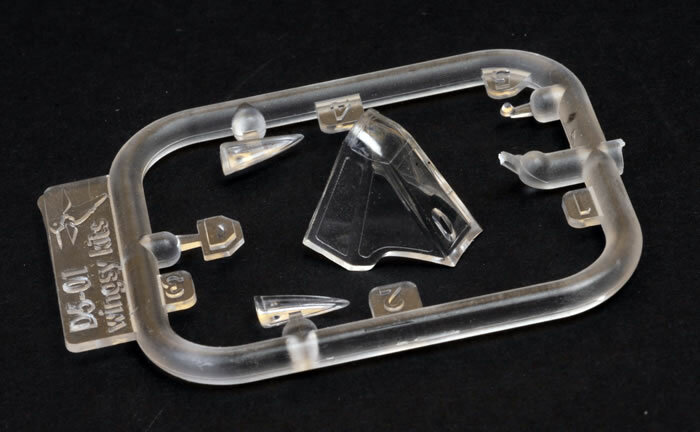 Five clear parts are included. The windscreen is thin and perfectly presented, but the wingwip navigation lights and the small viewing window for the cockpit floor each have a sink mark. Assembly looks pretty straightforward although some of the fine photo-etched parts will require care when handling and gluing. The instructions are well illustrated. Markings are supplied for four aircraft. All are finished in overall bare metal with colourful stripes, bands and patches. 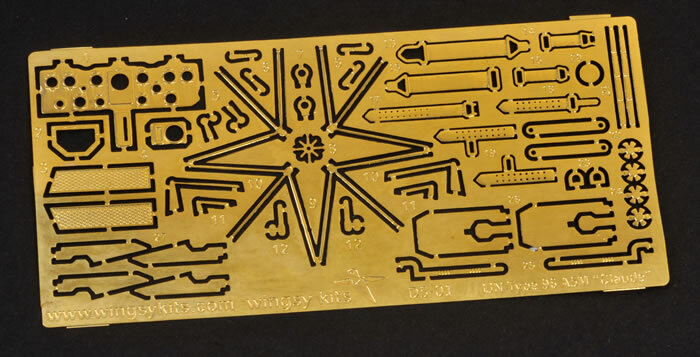 The decal sheet does not indicate who printed them (they are simply labelled Wingsy Kits) but they look to be a similar standsrd to the markings from current Eduard kits. They are in register with thin surrounding film and satin in finish. This is a real surprise package out of the blue. 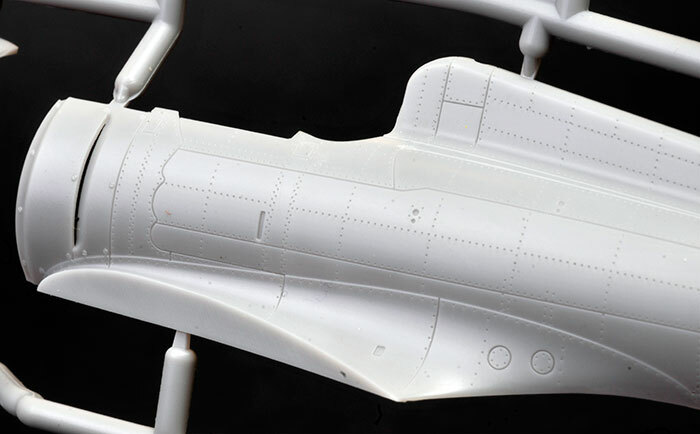 Wingsy's 1/48 scale A5M4 Claude is a quality kit with gorgeous surface textures, a high level of detail and useful options. Even if you are not a fan of early-war IJN fighters, this is definitely worth a look. It might just turn your head!